It was lifeguard-extraordinaire Rich's birthday today. 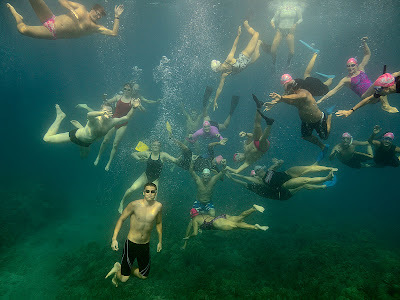 Lots of people turned out to celebrate with an ocean swim. Happy Birthday, Rich. 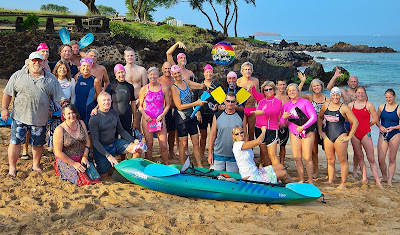 Click HERE for more photos from this morning's swim (especially you, Bonnie, so you can see what you saw).